hot young artists keepin us warm in the winter time, and this show is straight on the surface of the sun. 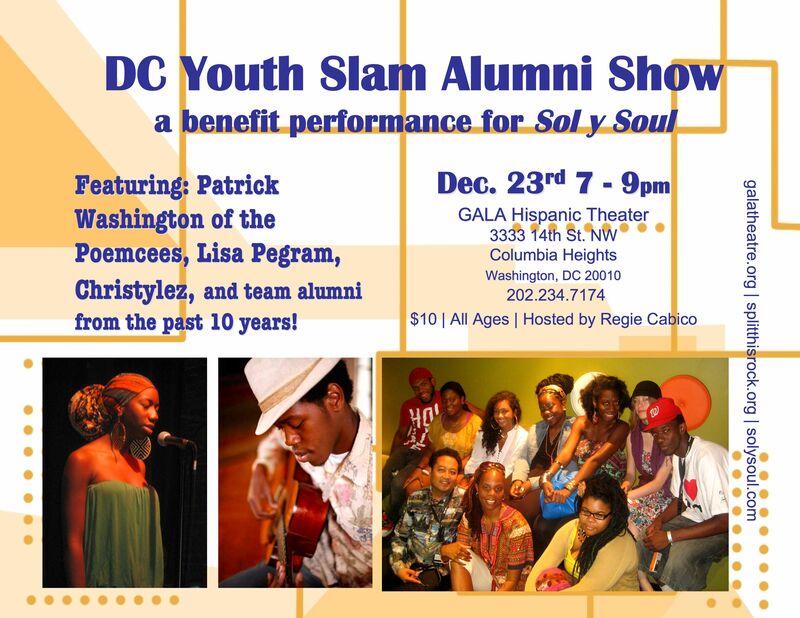 ten years of dc youth slam poetry teams together on one stage. we got christylez y’all!!! we got slam team coach and songstress lisa pegram. we got patrick washington of the poemcees. and that is just a few of the many greats we got coming through. regice cabico will be hosting. i will be djing and maybe spitting a couple pieces. it is well worth $50 per ticket, but we made them just $10 for you and your happy holidays. i hope to see you wednesday night in columbia heights.